Welcome to the STAR Program! The Stark County Convention and Visitors' Bureau is excited to offer a new format of our STAR Frontline Training Program, which stands for Stark Tourism Ambassador Recognition. This program is FREE for students and designed to educate frontline employees, special event volunteers, museum docents, interns, and new employees in the tourism sector. Our goal is to enhance customer service skills, strengthen partnerships between tourism venues, and drive traffic to locally owned businesses and tourism destinations in Stark County. 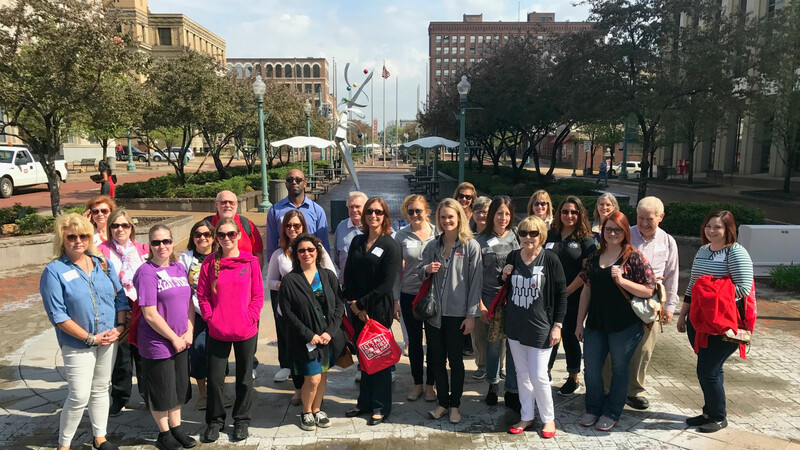 Your employees will get an in-depth look at the tourism assets of Stark County and learn more about their significant role in the tourism industry! Registration to become a STAR Student has been closed. We are excited to host 40 incoming STAR Students on March 7th. Please email laurap@visitcanton.com if you have questions. STAR Passport: March 7 - June 14: Experience the Stark County destination firsthand utilizing the STAR Travel Passport. The Passport provides STAR students complimentary admissions at select attractions. Who is the audience we want to participate in this curriculum? What will STAR Students learn? What is tourism and what does it mean to Stark County - bed tax, economic impact, tourism trends, etc. What is a Convention & Visitors Bureau? Learn more about what we do and how we promote Stark County as a tourist destination! General overview of Attractions, Restaurants, Cultural Institutions and Events in the region. How their knowledge makes a difference, understanding how to answer questions and where to quickly find information. Visit first hand some of our major tourist destinations! Students will experience a walking tour of the Canton Arts District! What will the student receive for participating in the class? Students will receive the book Lessons from the Mouse: A Guide for Applying Disney World’s Secrets of Success to Your Organization, Your Career, and Your Life. Students will have the opportunity to be exposed to a variety of destinations using the STAR Travel Passport’s exclusive offers created for STAR students. Graduating STAR Students will receive a ticket to attend and be recognized as a STAR graduate at the 2019 Visit Canton Tourism Week Celebration on May 9th. Graduating STAR Students will receive a certificate and a STAR recognition pin to wear on their uniform.